This is a package worth $19.84 and two of you will get it for absolutely nothing! 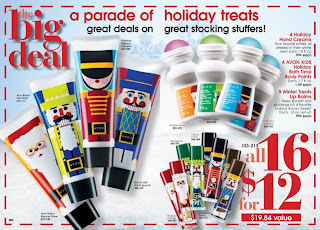 I think that these items would make absolutely adorable stocking stuffers!! Don’t worry – even if you don’t win, you can still get in on a great offer. Right now, if you head here and place your order for the above package, you will get if for only $12.00 and even get free shipping with the code FSWER at checkout. If you are a new customer, you will get a free $10.00 gift with your order. But wait — this offer gets even better!!! If you purchase more than $30.00, you will automatically be entered into a drawing for a gift basket worth more than $150.00!! Talk about a Happy Holiday!!! LOL!! Be sure to get yours now — and when you do you’ll get that free gift with this offer as well (value of $9.99). Not only is Heidi giving away the package above, she wants to give away another gift. This one is a 9 piece Bubble Bath set. * 4 Bubble Bath Holiday Minis (Vanilla Cream, Fresh Peach, Kids, Soft Pink); each, 1.7 fl. oz. * 1 Vanilla Frosting Bubble Bath; 24 fl. oz. * 1 Sweet Sugar Cookie Bubble Bath; 24 fl. oz. * 1 Hot Apple Pie Bubble Bath; 24 fl. oz. * 1 Sweet Honeysuckle & Lily Bubble Bath; 24 fl. oz. * 1 Peppermint Delight Mini Bubble Bath; 1.7 fl. oz. This prize package has a retail value of $36.91. These fragrances are not going to be around for long, so this is a great chance to get them for absolutely nothing. Updated: Heidi just can’t stop giving stuff away!! There is one more giveaway offer she emailed to me just a short while ago – this adorable little 16″ plush bear! Can’t you see your little elf all smiles holding this? So – how can you win? There 6 ways you can actually enter. Be sure to leave a comment for each entry you make so you get credit for all of them! 1. Share what you do to relax when the holiday stress gets to you. 2. Follow KCPPM on Facebook. If you already are, just leave a comment letting me know. 3. Follow me on Twitter. If you are already following my tweets, just let me know! 4. Sign up for the daily email digest. Once again, if you are already on the list, just leave a comment and you’ll have another entry. 5. If you have a blog, make a post about this giveaway and share your link here in comments. 6. Become a customer of Heidi’s at Avon. Best of luck to everyone! The winner will be chosen using random.org on November 9th – so be sure to enter before then!! If anyone has any questions regarding the products, please feel free to e-mail Heidi.